avril 2016 – Réarmer l'intelligence ! PARIS—By 2018, a trip to France could allow you to sleep at Versailles Castle and wake up watching the sun rise over the 17th-century gardens. Channeling Marie-Antoinette won’t come cheap, though. The board of directors of the Versailles Château voted Friday to approve a plan to rent out buildings in the grounds of the castle to French hotel group Lov Hotel Collection and celebrity chef Alain Ducasse. They will open a luxury boutique hotel and a haute-cuisine restaurant in a move seen by some as a privatization of a national treasure. After a year-and-a-half bidding process, the consortium committed to invest €25 million ($28.5 million) in revamping the buildings known as Grand Contrôle, Petit Contrôle and Pavillon des Premières Cent Marches. They will transform them into a luxury 20-room hotel with a spa, an underground swimming pool and a terrace with a view of the Versailles orange grove and the Bosquet de la Reine gardens. The group will pay rent of €1 million a year. “To be profitable, a hotel of that size needs to be high-end luxury,” said Catherine Pégard, president of the body that runs the castle. The project shows how France’sgrand cultural institutions are scouting out alternatives to raise funds as the French state cuts back on financing. 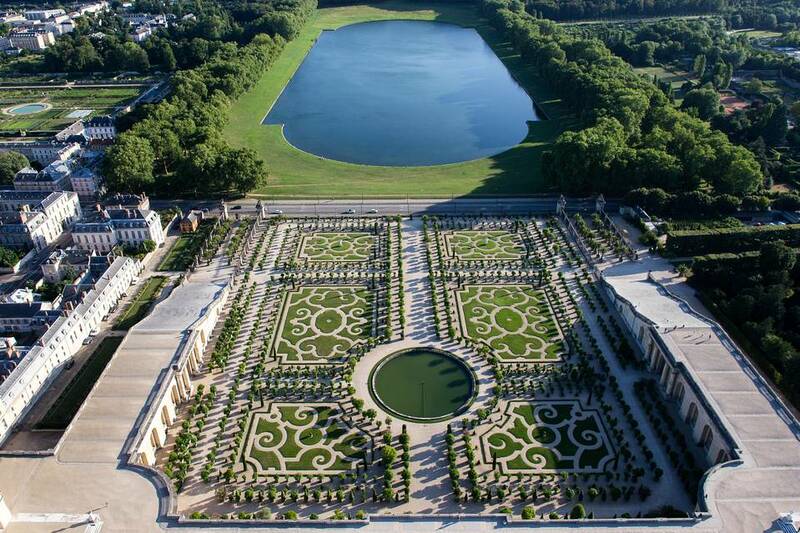 In recent years, Versailles, which attracts around 14 million visitors a year, has lifted revenues via ticket sales, events, shop and restaurant rents so they now represent 53% of the overall budget in 2015 up from 48% the year before. The rest comes from the state and private donations. Other French prestigious institutions-—including the Louvre—have started financing some activities through crowdfunding, or holding more private events. However, the idea to rent part of the estate to a private company is anathema for some. “Giving a Versailles space to a group of very wealthy people isn’t part of the French spirit,” said Arnaud Upinsky, who heads an association called Coordination Défense Versailles that has lobbied against a series of recent initiatives at the castle. The Grand Contrôle compound, located on the left of the main palace building, housed the finance ministry during the reign of Louis XVI. It was transferred to the Defense Ministry after the revolution, which most recently used it as an officer’s mess. It has been unoccupied since 2006 and was handed back to the castle’s estate in 2008. The building is in a poor condition and requires at least €5 million worth of urgent repairs, said Ms. Pégard. Given the cost to restore the Grand Contrôle and the fact that little inside of it remains from its glorious past, management decided a hotel would be the best option. “It could generate funds to do other things for the general public,” said Ms. Pégard. Ms. Pégard insists not everything is for rent at Versailles. She has recently rejected requests from horse-drawn carriage operators and from photographers wanting to offer 17th-Century costumes to visitors for snapshots. “I don’t want to turn Versailles into Disneyland,” she said.